The demand for quality virtual assistants has been high during the past few years. More and more people are either operating online business or looking for people to perform tasks remotely. This is a major win if you’re looking to work from home. Plus, it’s not that difficult to break into this field and start doing (VA) work. At least 90% of VAs are hired without being required to have a degree and just need to prove their skills, catch on to new things quickly, and have excellent communication. VAs can start out making $10 to $15 per hour, but some earn $60 per hour. 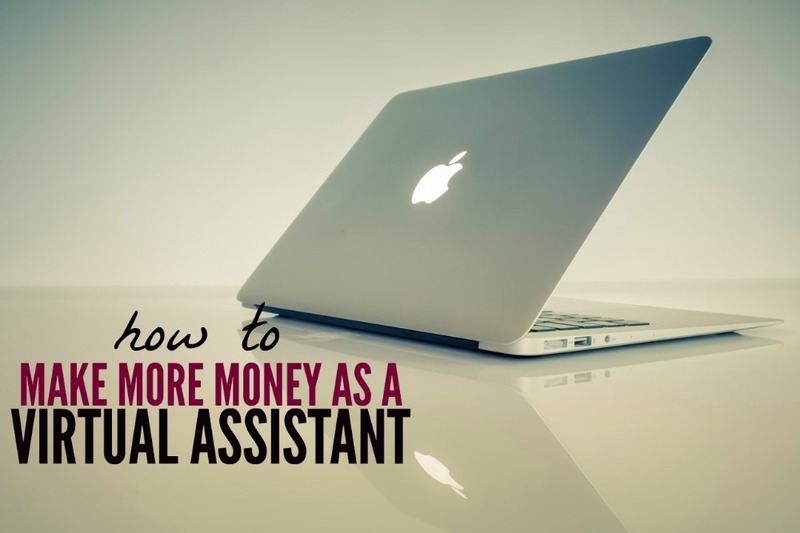 Here’s how you can up your rates and make more money as a virtual assistant. There are so many skills you can offer as a VA. This makes it difficult to narrow down your service offerings. I’d suggest thinking about which services you feel you’d excel in if you offered them to clients. Also, think about what you enjoy and are good at doing. Check out 30+ virtual assistant services you can offer here. That said, I do also believe that you can command higher rates if you choose one or two services to specialize in. General VAs can expect a more generalized pay rate. However, if you try learning a specific skill whether it’s video editing, formating newsletters, or managing Pinterest, you can likely earn more. This is because specialized skills are often in high demand, but it’s not always easy to find qualified candidates to do the work. If you learn how to manage Facebook ads and can this as part of your VA service, you’ll probably get paid more than you could to check and respond to blog comments. That’s because the task is more specialized and you doing it will save your client time. Plus, they also may even see a double or triple return on their initial investment. It’s no secret that managers get paid more than workers. As a VA, your role with a client can easily transition to more of a management position if you do a good job. I’ve had this happen with quite a few VA clients. I went from editing and formatting blog posts to managing the entire blog and content production schedule. You can assume a more management VA role even if you’re never held a management position in the traditional workforce. Simply work to improve your skills and experience. Ask current clients if they need you to take on more responsibility and allow you to help them hire and manage other team members. With the additional responsibility, you can expect more pay. Sites that hire VAs like Zirtual, 99 Dollar Social, and Time Etc. 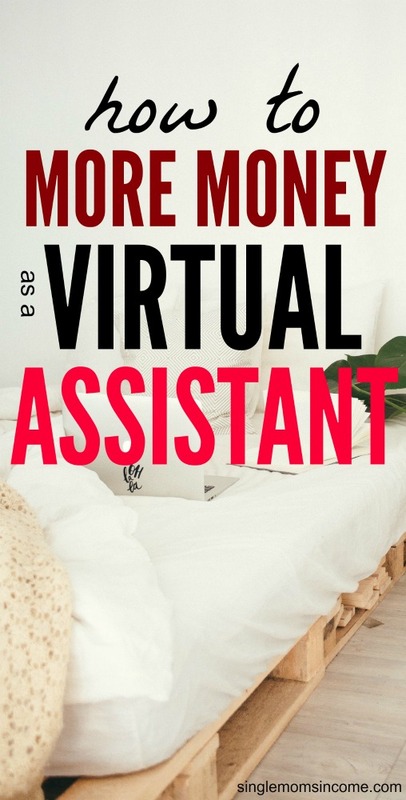 are all great for finding virtual assistant work but those sites have the final say in how much you can make. They hire freelancers and provide them with a steady stream of work, but you have to agree to their payment terms. I like this sites for convenience, but I’ve never seen one offer virtual assistants $60 per hour per project. If they do, I doubt the VA gets to keep all the money since the opportunity was made available through a 3rd party site. If you want to control your earnings and make more as a virtual assistant, the best thing you can do is find your own clients and pitch them. How do you do this? Start brainstorming a list of companies, blogs, and websites you’d love to work with. Organize everything in a spreadsheet. Also, jot down how you feel you can help them. Try to narrow it down with the specific service you can offer. Get to know each lead by following them on social media, interacting by leaving a comment on their blog or on LinkedIn, and trying to search for your point of contact. You can actually use a site called MailTester to test out an email address to make sure it’s valid and will go through when you send a message. Next, it’s time to write a pitch. I like to make my pitches short, sweet and to the point. Let the prospect know who you are, what your experience is, how you can help them, and why you’d be a great fit. Here’s a template to follow. My name is____________ I’ve been following your business on ___________ and really like the way you (insert a genuine compliment about their work or business to set the tone for a friendly relationship and smooth out any awkwardness). I provide excellent _____________ and _____________ services for businesses, companies, organizations and other busy professionals. I specialize in ________________________ to help businesses _____________________. You can also send examples of your work or references in your initial pitch but this is a good start if you don’t have too much work under your belt. Don’t forget to send at least two follow ups in case they don’t see your original email. Once you pitch and secure your own clients, you can charge whatever you want. You’ll also gain access to their network which can allow you to get referrals over time. Maybe you’re doing well as a virtual assistant but still don’t feel like you’re getting paid enough. You may just be working with clients who don’t have the budget to pay more for your services. This means, you may need to venture out and find clients who have a higher budget. I personally like to work with clients who need a virtual assistant and are serious about their business. Whether it’s a blog, virtual company, or local shop, this is super important to me because it means the client has a clear business plan and knows how a virtual assistant can help them reach their goals. It’s not all about money. You want to provide a quality service to clients and help make their lives easier. However, you also want them to be profitable so they can afford to compensate you with what you feel you’re worth. To achieve this, seek out clients who’s mission you support and who you actually feel that your services can help. Then, see if you can take a look into how well the business is doing. Do they have other team members? What do they do? How long have they been with the company? Is there any noticeable push back when you offer your rate? These are all important factors to consider when you’re looking for a client who will grow with your compensation needs. Don’t limit yourself when it comes to make money as a virtual assistant. Work on developing solid skills and don’t be afraid to pitch your own clients to increase your earnings year after year and build a sustainable business. Have you ever thought about becoming a VA? Which services would you offer to maximum profitability? Thank you for the good ideas! I’m always looking for something i can do from home to help out with $$$. I am going to look more into this option for sure! Thanks again for the tip! Your welcome, hope it works out well for you!